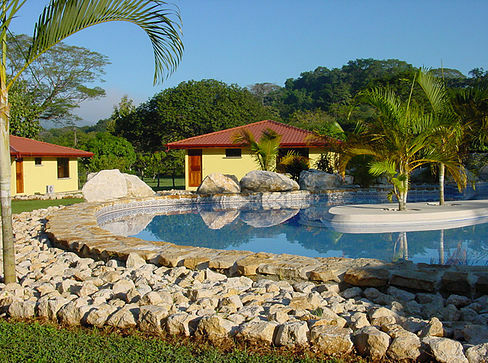 NICOYA, Costa Rica - Nov. 16, 2016 - PRLog -- Offering incredible value in Costa Rica, this gated community of 24 homes, bar, restaurant and signature pool is available for the ridiculously low price of just $750,000. This development was built 9 years ago and has never been occupied, yet it has been fully maintained and is in walk-in condition. Purchased by a property fund, the property was intended to be the cornerstone of multiple property purchases in Costa Rica. The plan never came to pass and the funds focus was elsewhere. And now it comes to market at the ridiculously low price of just $750,000 for a quick sale. At this price this property could be a retirement community, boutique hotel, short term holiday rentals, long term rental community, yoga center, hollistic retreat, seminar center, corporate retreat...the possibities are endliess! This is a purpose built gated development providing secure and peaceful living environment. There are 16 detached villas and 8 studios built within a vast 14,141 sqm (152,212 sqft/ 3.5 acres) of green landscape. There is a 200 sqm (2,150 sqft) swimming pool decorated with its own waterfall and a mini Palm trees island. The pool also has shallow areas and a jacuzzi. The maximum depth of the pool is 2.8m. This community is served by a large 470 sqm (5,060 sqft) restaurant with generous seating area which can also be used throughout the day for outdoor activities. There are more common seating areas next to the restaurant, situated within a green area with a water fountain feature. Parking for more than 30 cars are available on site. There are 16 villas each separated by lush garden areas of 8 to 14 metres, allowing you plenty of room and privacy. All villas are fully air-conditioned and 3 are fully furnished with kitchen and bathroom cabinets. The 1 bedroom/1 bathroom villas are 120 sq m (approx.) in size which include outside lounging area. They contain 1 bedroom, 1 bathroom, 1 laundry / utility room, open plan kitchen, combined with living and dining room. The 2 bedrooms/1 bathroom villas start from 145 sq m (approx.) to 156 sq m (approx. ), which include outside lounging area. They contain 2 bedrooms, 1 bathroom, 1 laundry / utility room, open plan kitchen, combined with living and dining room. There are 8 fully air-conditioned studos. Each is furnished with a kitchenette and bathroom cabinets. These cozy units are approximately 35 sq m in size. They each contain 1 bathroom, an open plan kitchen, combined with living and dining room. There is also a wardrobe area situated conveniently in the hallway, as you walk in via front door. These studios can comfortably accommodate at least 2 to 3 people. This development cost $1,700,000 to construct and has never been occupied, although it has been fully maintained and comes presented in walk in order. The property is offered at an incredible value price of just $750,000 for a quick sale. That is just $31,250 per residential unit! The seller is motivated by a change in excange rate and a rebalancing of his property portfolio. But if you are interested, contact me now as opportunities like this do not come around every day!